By now you probably know that if you have a website, you need a way to monitor how it is working. The problem with many of these feedback channels is that they can be complicated to set up or difficult to understand. The incoming feedback tool from Hotjar is different. It gives you all the feedback you need to manage and grow your website in a visual format. (So you don’t have to be a data scientist to understand it all.) Here’s a look at Hotjar and how it works. Hotjar helps you figure out how people are using your website or app, what they like (and don’t like) and helps you create solutions to make your design more effective to grow website engagement and traffic. The new incoming feedback feature gives visitors an easy way to actually leave instant feedback on your website or app in real time. You can monitor sentiment across all pages and give users an opportunity to offer feedback in a quick and easy way, using emojis and optional commenting. How Does Incoming Feedback Work? Pick a specific element to learn more about and then visitors can tell you what they think about it in just two clicks. Highlight specific elements or entire pages (or app screens) to get a complete picture of how your website is working. Each visitor gets to provide a simple rating using an emoji scale (first click) and is them promoted to offer additional feedback in to form of comments and submit (second click). You get immediate results to measure your performance and the impact of changes to your website or app in a visual dashboard. View the results visually and see how many people have rated the page or feature and what rating they provided. The nice thing about Hotjar is that every element is customizable, so it’s not just a generic plugin. Customize incoming feedback options, colors and commenting and messaging. If you’re not familiar with Hotjar, the incoming feedback feature is just one of a collection of great tools to help you stay on top of understating user behavior on your website or app. 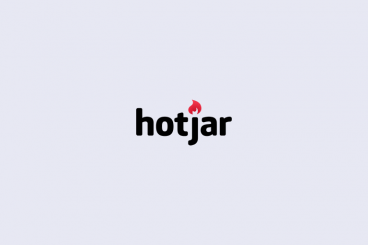 If you need to know what people are doing with your website – and why – Hotjar is something you need in your toolbox. You can find out what users love (or hate) about the user experience so you can correct these issues and grow your digital product. The best part is the tools are easy for you to understand and super easy for users to interact with. There are no long and clunky surveys to fill out; users can provide feedback with two clicks and you know what they are thinking immediately. There’s no better way to know what users are thinking in real time. Take the Hotjar incoming feedback tool for a spin. All Design Shack readers can try it free for 15 days (and you don’t have to provide credit card or billing information). Create an account or sign in with your Google login today.